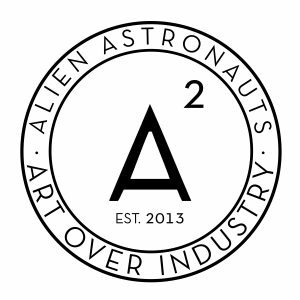 An artist collective, Alien Astronauts is a revolutionary brand raising awareness and creating curated experiences through art. Our mission is to achieve (and exceed) the creative needs of our clients through innovative design and aesthetics. Whether you’re an established brand seeking a fresh look, a business just starting up, or an individual with a vision you’d like to see realized, we are here to assist. What makes us unique is that, in addition to visual branding, website design & social media experience, we have a rich foundation in fine art that informs both our process and the quality of our product. 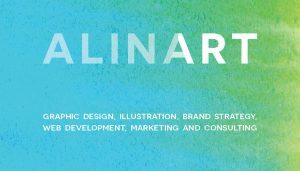 Alina is an award-winning artist and designer skilled in a variety of media. She received her Bachelor of Fine Arts in Studio Art and has over a decade of professional experience in the graphic design field. Sharing a passion for art with a love of nature, many of her creative endeavors promote conservation and other environmental awareness. In 2016, she had the honor of designing the official seal to commemorate the national mammal of the United States. As an artist, her work has been exhibited extensively across the U.S. and in Hong Kong. Her graphic work has been featured on such noteworthy outlets as Nickelodeon, PBS, The Colbert Report, New York Daily News, The Guardian, among others. The Center is dedicated to history, culture and arts education and artistic enrichment.These visual art programs will highlight the history, maritime culture and natural resources of the city and region. Programs at the center develop the capabilities of artists and aspiring artists from both the local and national art community by teaching the fundamentals of representational art and providing the general public the opportunity to participate in visual arts programs. The Director, with the Chairman of the Board, is charged to develop a plan to coordinate, organize, implement an annual program to include historic, cultural and art instruction for adults and youth, education programs/events, scheduling exhibits and fundraising to cover the cost of program management, assistance for financially challenged students and exhibits/programs held in other locations in the city. A combination of nationally recognized and local/regional teaching artists are contracted to provide instruction. The Director and Docents are used to operate the facility and to implement programs. 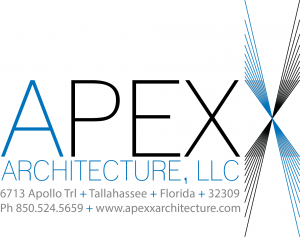 Apexx Architecture is a full service architectural firm specializing in Bridge Architecture, Bridge Aesthetics, and Residential Design. With over 20 years of combined experience, the firm provides beautiful designs that are both economically viable and structurally feasible. We utilize the latest software to create 3D models & renderings that help clients & the public visualize each and every project. From small beach cottages, to major interstate projects, our designs are context sensitive and unique for every site and client. Whether the project calls for a site sensitive truss bridge or a one of a kind home, Apexx Architecture is the up and coming architecture firm within the bridge and residential industry that provides successful results for the client, the site, and the community. A welcoming art studio and gallery connecting artists, students, and patrons with the community. Classes, workshops, local art, and more! B-EZ Graphix is a certified veteran and minority-owned multimedia marketing agency with a strong social focus. Our mission is to support the economic development of small businesses and nonprofits by helping to make marketing easy and affordable. We seek to accomplish this mission by providing a single-source solution for graphic design, web development, multimedia and strategic marketing solutions. Our professionals have over 25 combined years of experience in Branding • Design • Photography • PR • Advertising • Web Solutions. We offer our services with expert business advice, at no additional cost, to help develop cost-effective marketing strategies and solutions. Shouldn’t marketing your business be easy? BAET Collective is an artist collective based in Tallahassee, FL, comprised of artists: Alex Koenig, Michelle Medrano (aka Soymeeshii), and Peter Koenig. Former BAET Collective projects can be found at: The Wilbury Gaines Street Pies El Cocinero Warhorse Whiskey Bar Burrito Boarder GVO Izzy Pub and Sushi Indianhead Factory The collective also expands into the musical realm; “Bees And Enormous Tigers” being one of its most notable musical projects. 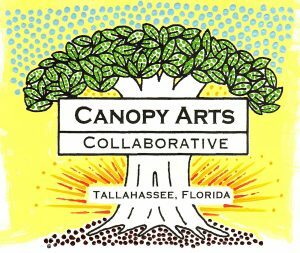 Canopy Arts was created to bring artists and the arts together for mutual benefit. We are also the home of MusicLand Co-op, so check us out on the weekly music page. We are a Florida tax-exempt nonprofit corporation based in Tallahassee, Florida. Donations to our programs are tax-deductible and help small arts organizations find space for practice and recital space, performance, workshops, talking circles and discussion groups. We are the home of MusicLand Co-op, one of Tallahassee’s true Listening Rooms. MusicLand hosts a seasonal performance schedule featuring local and touring artists. Our goal is to bring the arts and artists together across a wide range of performing, visual and literary genre to explore mutually beneficial programs that enhance creativity, knowledge of music origins, and the technical elements of performance while increasing the opportunities for artists to exhibit their work. 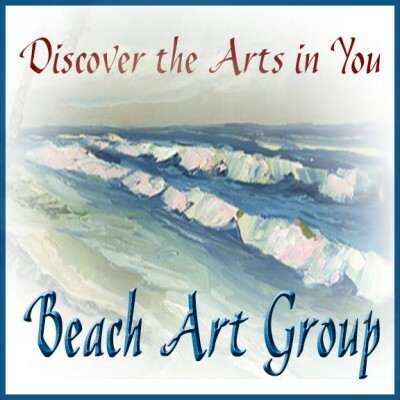 Carrabelle Artist Association (CAA) is dedicated to encouraging artistic expression and furthering knowledge and appreciation of the arts for its members and the community. 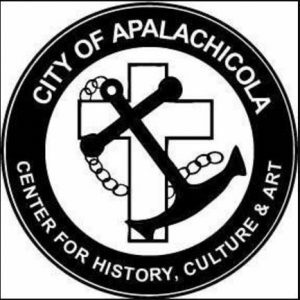 The CAA hosts weekly creative gatherings and workshops at the Carrabelle Senior Center. Members exhibit at the local library, festivals, and gallery shows. Field Trips to art galleries and scenic locations for art workshops. 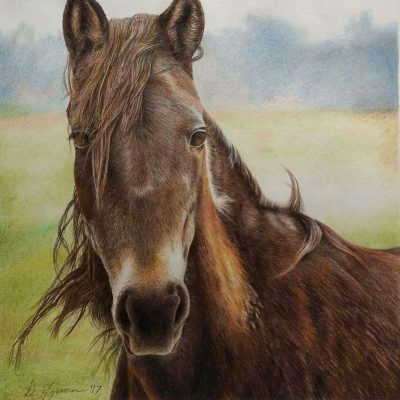 Two gallery shows yearly and ongoing exhibits in area businesses. Our members range from award winning professionals to beginners. For more information, check out our website at www.CarrabelleArtistAssociation.com or on Facebook at https://www.facebook.com/CarrabelleArtistAssociation. 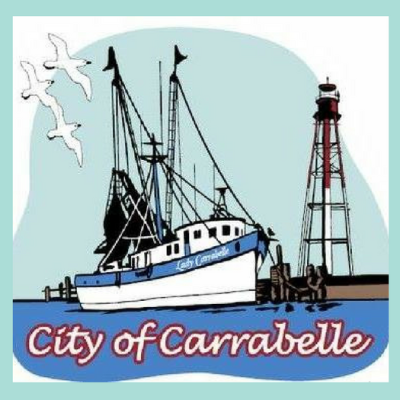 Each year, the Carrabelle community celebrates the Annual Carrabelle Riverfront Festival. This two-day event is held the 4th weekend in April on Marine Street along the beautiful Carrabelle Riverwalk. Admission is FREE and open to the public. Activities include unusual and colorful arts and crafts vendors, an array of maritime and landlubber history and educational exhibitors, a kids’ zone, a fun-filled pet parade, colorful, costume parade and fashion shows, local seafood vendors and traditional fair foods, and live music. 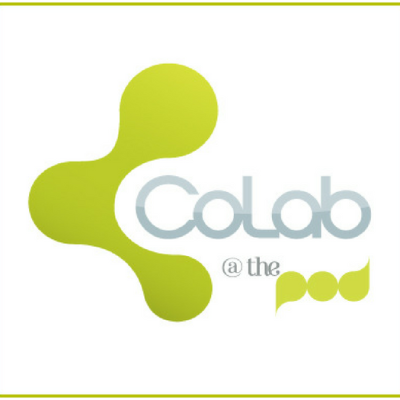 Inspiration + Collaboration = A Creative Nation That’s the core idea that drove Samantha Strickland, CEO of The Pod Advertising, to envision CoLab @ The Pod, a new way for ambitious creatives to work for themselves. A “momtrepreneur” herself, Sam is well aware of the many problems self-starters face, from the lack of community support, to holding meetings in coffee shops and spare bedrooms. CoLab will serve as the ultimate solution to both tangible and intangible entrepreneurial woes. Situated in the heart of Capital City, the coworking space will feature ample private meeting spaces, as well as dedicated conference room time for presentations. 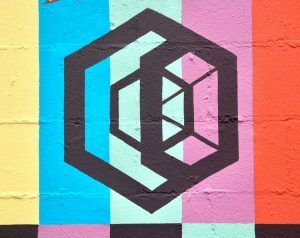 In addition to a roster of workspace benefits, CoLab will be populated by like-minded creative professionals, independently-driven but always ready for collaboration. With these resources and atmosphere, we intend our members to truly feel as if they have no ceiling. 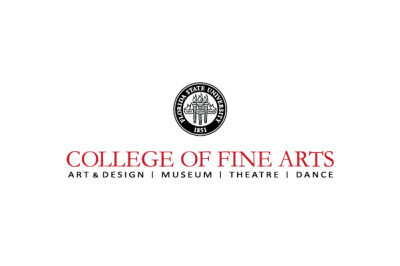 The Florida State University College of Fine Arts is a place where learning and creativity are nurtured through instruction, research, and practice. The College is a close-knit community of faculty, students, and professionals that functions as an arts conservatory within a major university. It is home to a unique combination of visual and performing arts studios, classrooms, performance spaces, and museums. Our students are some of tomorrow’s most promising artists, researchers and professionals in their fields.The College offers degree programs in Art, Art Education, Art History, Dance, Interior Architecture and Design, and Theatre. The College also houses several non-academic units including the John and Mable Ringling Museum of Art, the Museum of Fine Arts, the Facility for Arts Research, and the Maggie Allesee National Center for Choreography (MANCC). Many of our programs rank among the most respected in the nation. We are proud to feature specialized programs that leverage relationships between departments and museums to enrich the degree-based curriculum.The College of Fine Arts has undergone an extensive self-assessment and strategic planning process. As a result, the College has developed a clear mission and related objectives that are encapsulated in the following statements. These statements fortify our resolve to offer the finest arts instruction and training in the nation.MissionWe seek to create, teach, learn, and serve with passion and intellectual rigor. The College is guided by a set of values that demonstrates a commitment to students, faculty, the University, the community at large, and the organizations that will employ future graduates.Values	Put students at the forefront of all efforts and prepare them for successful academic and professional careers. Emphasize care and attention to the needs of each student by maintaining manageable class sizes and providing individual guidance. Respect the full range of the arts and scholarship, from old to new and from mainstream to highly innovative. Serve as an educational, professional, and cultural resource in the arts, theatre and dance for the entire campus community, state, and nation. Stress innovative guest series that invite prominent artists and scholars who involve students and faculty with current issues in the arts and expose them to a wide range of practices and researchA Plan for the FutureThe College endeavors to be the top-ranked program for visual arts, theatre and dance in the country. It will always be a place where students can study under outstanding faculty and acclaimed professionals-in-residence. The emphasis on visiting professors ensures a constant flow of fresh ideas that stimulates an energetic and vibrant learning culture. New faculty positions and growing support from our alumni and donors allow us to engage the world’s finest scholars, artists, and museum professionals on a continuing basis. The powerful combination of academic and professional preparation will draw the most talented students from across the country to our programs. COCA, the Council on Culture & Arts, is a non-profit organization that serves as the facilitator and voice for the arts and cultural industry in Florida’s capital area. COCA provides information and promotes the arts and culture to both citizens and visitors. Crafts + Drafts is a unique DIY experience where guests can create a handmade craft while sipping and socializing in a public place. Crafts + Drafts is a space for conversation, fun and getting crafty. Crafts + Drafts does the hard part: gathers ideas, materials, tools and instruction. Craft the night away with friends and sip at your favorite local bar! 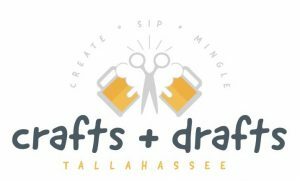 Crafts + Drafts also hosts private craft parties for adults and children! Crafts Host and Curator, Heather Light, is a local elementary art teacher with a decade of experience in Arts Education and Administration. Crystal Portal located conveniently in the heart of downtown Tallahassee in Railroad Square Art Park. Our team strives to not only provide you with high quality crystals, but also present you with an experience. Our knowledgeable staff can assist you in selecting which crystal resonates with you best! We sell various metaphysical items such as handcrafted jewelry, incense, tapestries, prayer shawls, and more! All crystals are hand selected by our local owner, charged in a pyramid-shaped home (AKA The Pyramid Healing Arts Center) prior to arriving to the Crystal Portal, and cleansed daily with sage or palo santo. We find it important to put a lot of love and intention into our sacred space, and we hope you will come to experience the ~fresh~ vibrations! In addition, we offer various services to the community of Tallahassee. Contact us for Tarot readings, Crystal Consultations, Reiki Energy Healing Sessions, and Spiritual Counseling. As we are eager to provide the community with affordable services we offer a sliding scale fees ($30-65) in order to invite all of those that are interested in experiencing the metaphysical services we offer. All services are paid for the duration of one hour, but if you prefer to extend the time feel free to express this to the healer. 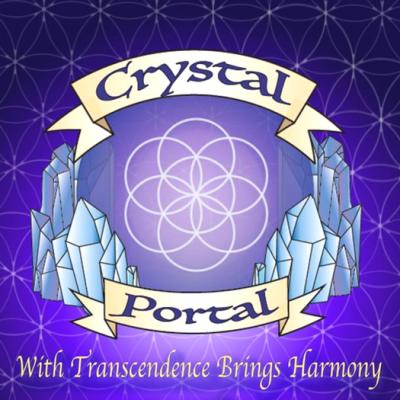 Crystal Portal also facilitates monthly workshops and gatherings! -Various Metaphysical/Spiritually Inclined workshops -Monthly Women’s Circle (New Moon) -Monthly Reiki Share Night (Experienced, Beginners, and Curious Individuals are welcomed) -Monthly Full Moon Gatherings Please check our Facebook for event details! I am a Tallahassee based artist that provide custom and original art as well as art classes and specialty classes. 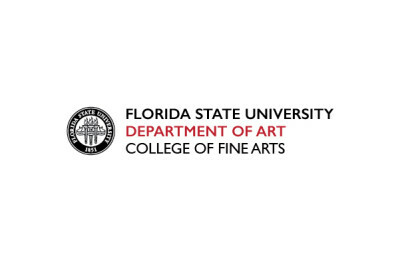 Art Without Boundaries: Florida State University Studio Art and Design at Florida State emphasizes interdisciplinary thinking and offers diverse opportunities for creative development and expression on both the graduate and undergraduate levels. We are proud of the accomplishments of our esteemed faculty, who provide guidance in the skills necessary for not only artistic creation, but also in expressing contemporary issues through their visual arts. Committed to excellence in all programs, the program strives to combine curricular flexibility with a rigorous mix of experiences and opportunities for serious, focused study in art and design. The Department of Art is one of the largest and most comprehensive departments in the College of Fine Arts. Take this opportunity to explore our website, or join us at one of our upcoming artist talks, student exhibitions, and community events. Mission Statement The Department of Art at FSU is a research driven community of students and faculty dedicated to the dynamic interrelationship of ideas, processes and practices. By crossing geographical and disciplinary boundaries, we both discover and create new opportunities for practicing art and design. We cultivate critical, creative and compassionate thinking in an evolving global environment, developing and pursuing innovation while valuing our traditions. We foster a vibrant culture of creative problem-solvers, responsible both to themselves and to the needs of the larger communities to which they are connected. We celebrate the unique role that art and design play in the construction of culture and embrace our duty to advance and share the knowledge gained through our creative research. 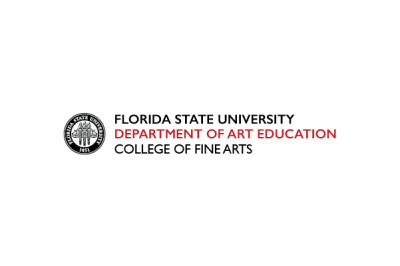 The Department of Art Education is part of the College of Fine Arts at Florida State University and consists of four Graduate Programs: Art Education, Art Therapy, Arts Administration, and Museum Education and Exhibitions (MEX). The College of Fine Arts is guided by a set of values that demonstrates a commitment to students, faculty, the University, the community at large, and the organizations that will employ future graduates. Our Philosophy Art for Life is the vision which guides our four graduate programs The Art Education Program’s principle goals are to deepen the visual and cultural literacy of future art teachers and to increase the shared body of visual information which is crucial for the fundamental base of art knowledge from which art instructors must teach. The Art Therapy Program is designed to promote the use of art therapy as a means of reconciling conflicts, fostering self-awareness, facilitating personal development, and to expand knowledge of special and clinical populations. The Arts Administration Program is also designed to educate aspiring arts and cultural leaders about the theory and practice of socially responsible arts administration. The Museum Education and Exhibitions (MEX) Program consists of specialized innovative training for aspiring museum educators, with a focus on visitor-centered exhibitions. This philosophy is based on the tenets put forth in the book, Art For Life, written by Dr. Tom Anderson and Dr. Melody Milbrandt. The power of art for social justice and societal change is not only infused in our philosophy, but is the overarching theme that pervades our curriculum. Our Purpose As a comprehensive education and research program, we strive to effect positive change in the community, the University, and our respective professions. Our Business We conduct diverse, accessible, comprehensive graduate programs and research in art education, art therapy and arts administration. Our Values We believe in the intrinsic value of art and its importance as a social good and as a catalyst for the development of the individual. The Florida State University program in Art History is one of the oldest and highest ranked in the Southeast, and the first in Florida to offer a doctoral degree. The department boasts one of the largest faculty of art and architectural historians south of Virginia and east of Texas. Sixteen faculty members teach in the fields of Ancient (Department of Classics), Medieval: East and West; Renaissance and Baroque: North and South; Modern: American and European; Pre-Columbian and Colonial art and architectural history. Graduate courses offered in the areas of museum studies and cultural heritage provide further professional opportunities in Florida’s capital city. We typically teach twelve graduate seminars each year in addition to a broad range of undergraduate lecture courses. Undergraduate students majoring in art history also take a limited-enrollment seminar at the conclusion of their studies, reinforcing and extending their professional training. Studying Art History at FSU extends far beyond the classroom. Through an expansive international studies program, students gain firsthand experience of art in London, Florence and Paris, among other world cities. They can also pursue a certificate in Museum Studies, taking advantage of the rich collections and facilities available at FSU’s Ringling Museum in Sarasota and the campus-based Museum of Fine Arts, where exhibitions generated by faculty and students are displayed, and student internships are available. A distinguished lecture series brings renowned scholars to share their work in progress with us, and since 1981 we have hosted each year a graduate student symposium that draws participation of Art History students from across the country. The proceedings have been published in the journal Athanor, which is distributed to research libraries both in the US and Europe and appears in the major online databases. The Department of Art History, part of the College of Fine Arts, is located in the William Johnston Building, a historic structure built in 1913, enlarged in 1939, and most recently restored in 2011 with the addition of a stunning glass-enclosed atrium designed by Gould Evans Associates.